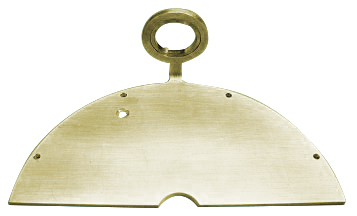 The cylinder plate provides three functions. It acts as one of the four hot or cold plates, it supports the cylinder, and it connects the chamber to the cylinder via the connecting tube. A brass ring was threaded and fit to the cylinder plate to allow the cylinder to screw in place. The brass ring was single point threaded. The ring can be press fit and/or glued in place. Alternatives: the ring can be omitted and the cylinder simply press fit. The cylinder mount could be made separate from the plate and bolted on.